CLICK HERE to listen to the entire broadcast. Formula DRIFT will be the first major event to return to Irwindale Speedway since the new management group has taken over the day-to-day operations of the venue. The event has sold out for the past two seasons and to accommodate the growth in attendance expanded seating will be made available. Tickets went on sale Wednesday. 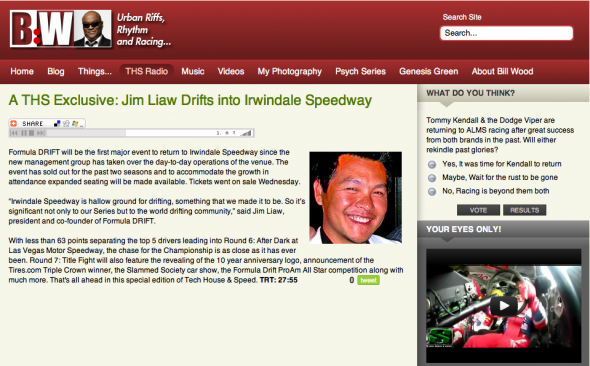 “Irwindale Speedway is hallow ground for drifting, something that we made it to be. 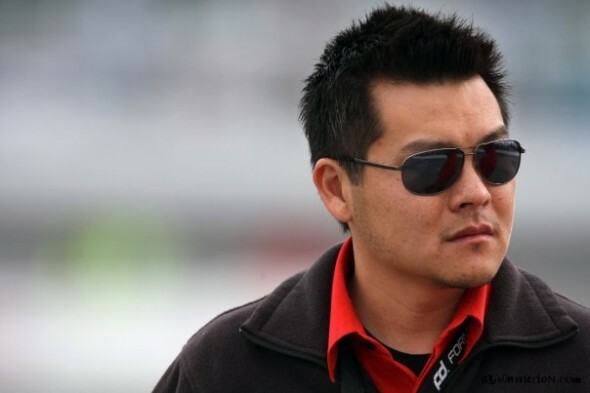 So it’s significant not only to our Series but to the world drifting community,” said Jim Liaw, president and co-founder of Formula DRIFT. With less than 63 points separating the top 5 drivers leading into Round 6: After Dark at Las Vegas Motor Speedway, the chase for the Championship is as close as it has ever been. Round 7: Title Fight will also feature the revealing of the 10 year anniversary logo, announcement of the Tires.com Triple Crown winner, the Slammed Society car show, the Formula Drift ProAm All Star competition along with much more. Tech House & Speed – Bill Wood Interviews Vaughn Gittin Jr.
Posted in FD News | Tagged Bill Wood, Falken Tire, Ford Mustang, Ford Racing, Monster Energy Drink, tech house and speed, Vaughn Gittin Jr. 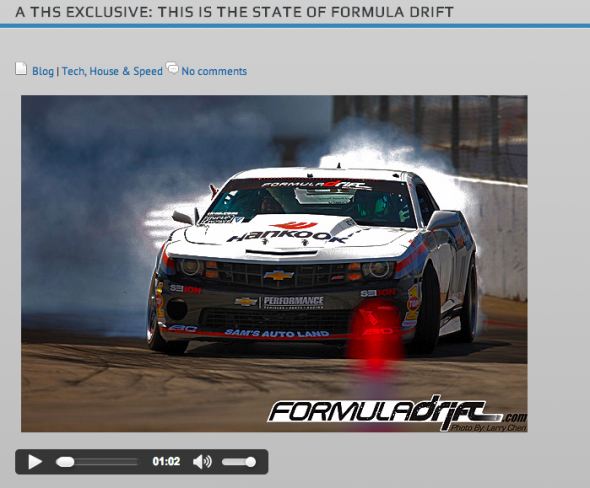 Formula Drift Co-Founder Jim Liaw recently spent some time talking to Bill Wood of Tech House & Speed. They cover the hot topic of Irwindale Speedway’s bankruptcy and cancellation of the racing season. 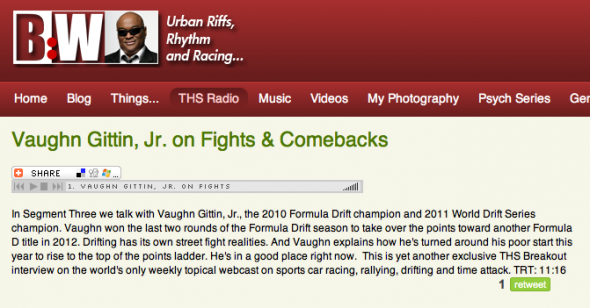 Jim sheds a lot of light on how Formula Drift may or may not be affected by this with the information that is available thus far. We’ll be sure to keep everyone informed on this topic as more information is released from the venue.